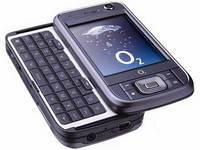 Recently I just purchased a new O2 Xda Zinc 3G smart phone. This model is a replacement of O2 Xda mini S that has been empowered by 3G support. I have tried it for a month and seem very satisfied with its performance except a few things. Running on high end Intel PXA270 XScale 520MHz Processor, backed by 64MB of RAM and 128MB of Flash ROM, O2 XDA Zinc is a more powerful smart phone as compared to its predecessor and even its competitor, Dopod 838 pro. I don’t really feel much lagging when trying to launch multiple applications especially during video call and internet surfing using 3G network. On the connectivity, it has all I need at this moment, ranging from Infrared, Bluetooth 2.0, WiFi, Tri-band GSM and 3G. The only think that it lacks of is HSDPA that has been enabled in Dopod 838 PRO. Despite the good things that I mentioned, there are few software bugs that I would like to highlight. First, the time keeps on changing back to US time zone. I realized that one time when the alarm that I set in the morning didn’t sound. Another funny thing is the speakerphone keeps on toggling on and off. At first I thought that I had accidentally touched on the touch screen when answering the call but it was not. It was annoying especially when the audio volume became high and low. I have yet to upgrade to its latest ROM and hope these problems will resolve. Other than this, it works perfectly well as a companion to keep myself connected all the time.